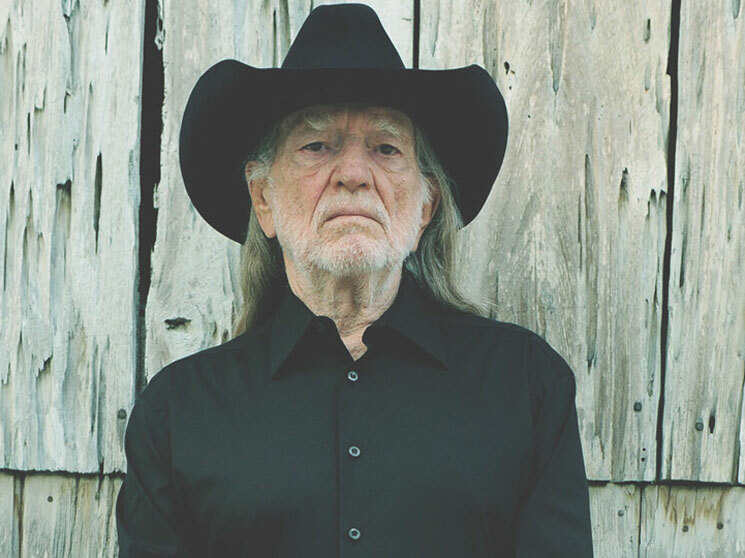 Willie Nelson is keeping a diverse portfolio in his senior years. Not only is the 81-year-old country legend releasing a new autobiography, but he's now signed on to star in a forthcoming movie, which will include a collaborative song with U2's Bono on the soundtrack. The cast also includes Charlotte Rampling and Sophie Lowe, with production slated to start next month in Spicewood, TX (which is Nelson's hometown). Bono will serve as one of the executive producers, and he is writing an original song for Nelson to sing. We're guessing that Bono won't be playing any guitar on the track, however. The film is about a trapeze artist who finds a letter from her deceased father. This directs her to a gold mine in the desert, where she meets former vaudeville stars played by Nelson and Rampling. There's no word as to the film's projected release date.